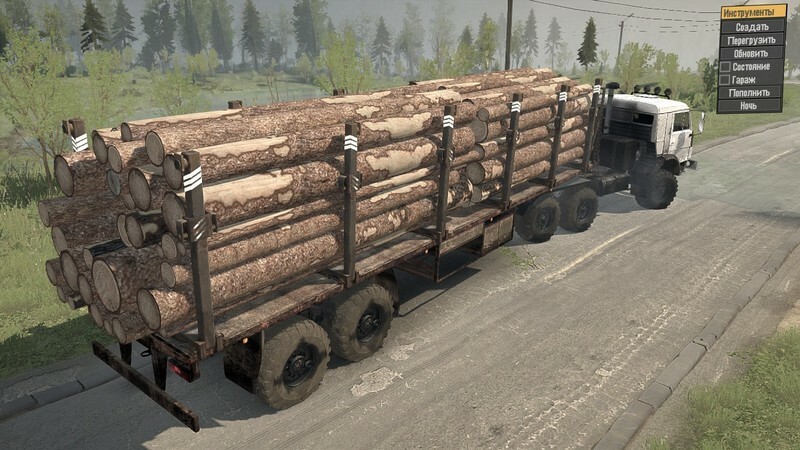 Replaced rubber logs and timber platform for them. Added a separate loading manipulator (now complete set: platform, dissolution, crane). 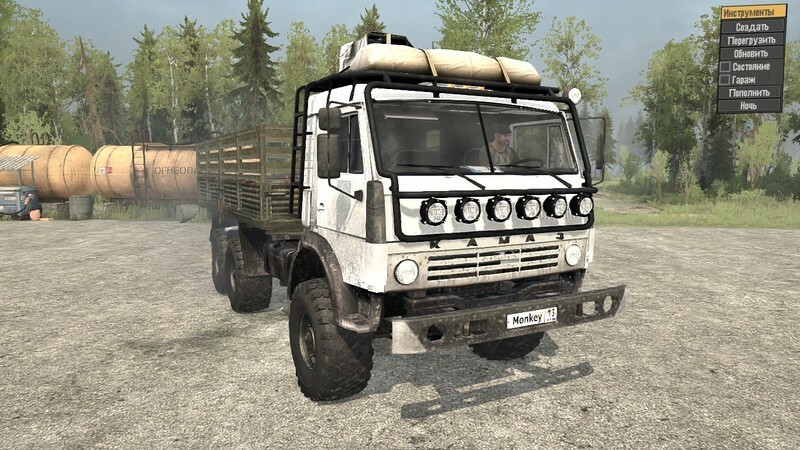 Kamaz 43114 from the version 03.03.16. Has 17 of its add-ons and 16 default ones. 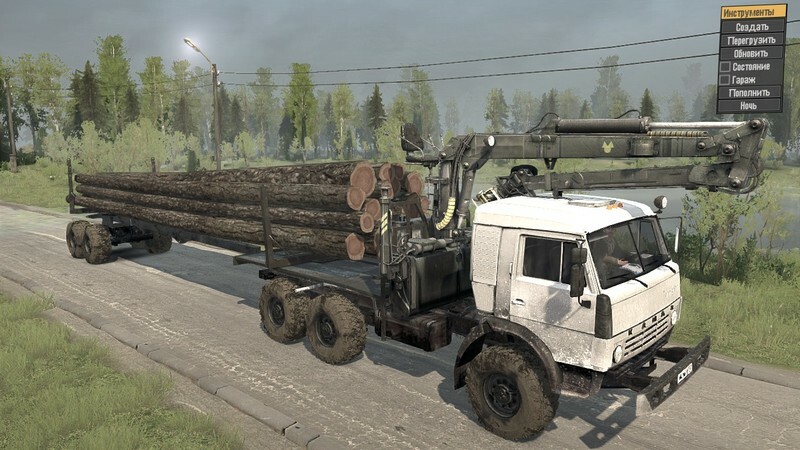 You can add other types of wheels, for this, replace the line Type = "KAMA43114" with Type = "AROK43114" or Type = "MZKT43114" in the file Kamaz43114.xml "
Thanks to all for the components: msergt, Psix19rus, RedPoW, Furkat, Twilight, GREGOR 24RUS.